In a major reshuffle, the Gorkha Janmukti Morcha has decided to hand over the party’s reigns to a 29-member Central Working Committee with a view to help strengthen the organisation as well as chalk out future policy matters. The move to reshuffle the party comes at a time when it is facing heat from rival parties that have started making inroads in the hills. 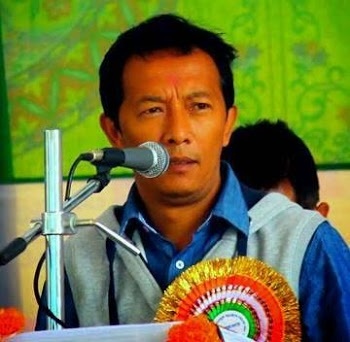 The GJM was victorious in the Assembly elections but a large chunk of its previous vote bank was lost to parties such as the Jan Andolan Party and the Trinamool Congress, slashing its victory margin by nearly half in the three hill assembly constituencies. The TMC is gaining ground albeit with help from the state government, which is doling out development carrots including development boards for various hill communities. The Gorkha National Liberation Front too has started its political activities in the hills and is slowly on the revival path. the recently concluded Assembly elections but the win margin is something that has got them worried. Therefore, a reshuffle in the party ranks was due for sure,” reasoned a political pundit, not wishing to be named. Earlier, in the party hierarchy, an 87-strong team of the central committee and a seven-member core committee took decisions on the party’s activities and political programmes. All these will now be done by the CWC to be headed by Bimal Gurung, the GJM president. “This is our first central committee meeting after the Assembly elections. We have segregated some of our present organisations and also formed new committees,” said Tamang. The party has also increased posts of vice-presidents and assistant general secretaries including leaders from the Kalimpong and Mirik regions to give better representation. The GJM has an existing legal cell but a decision was made to constitute a Legal Advisory Body comprising seven members to advice the party on all legal matters, given the many litigations pending in the courts. This aside, for better coordination among its various organizations and parent body, leaders from the party’s central committee have been appointed as coordinators. At present the GJM has 23 frontal organisations. The 12-member Study Forum that has been entrusted with the responsibility of advising and studying the Gorkhaland demand has been left intact.